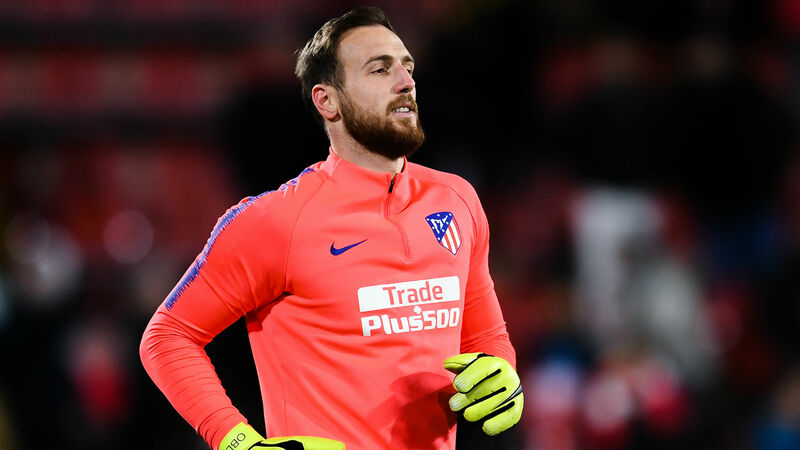 Star goalkeeper Jan Oblak has extended his contract at Atletico Madrid through to June 2023. The Slovenia international still had two years to run on his previous deal, but LaLiga side Atletico have moved to secure his future for the next four seasons. The fresh agreement reportedly includes a release clause set at around €100million. Oblak joined Diego Simeone's side from Benfica in July 2014 and has established himself as a worthy successor to Thibaut Courtois. The 26-year-old has started all 32 of the club's league matches this term and his signature comes as another significant boost following Antoine Griezmann's commitment to a long-term deal during last year's World Cup. "I'm very happy to have signed a contract extension and to be here," Oblak said. "I'm going to defend these colours to the best of my abilities and continue working hard." Atletico are set to lose Lucas Hernandez to Bayern Munich at the end of the season, while Diego Godin is expected to join Inter. The Rojiblancos are second in LaLiga, four points ahead of city rivals Real Madrid and nine adrift of leaders Barcelona.